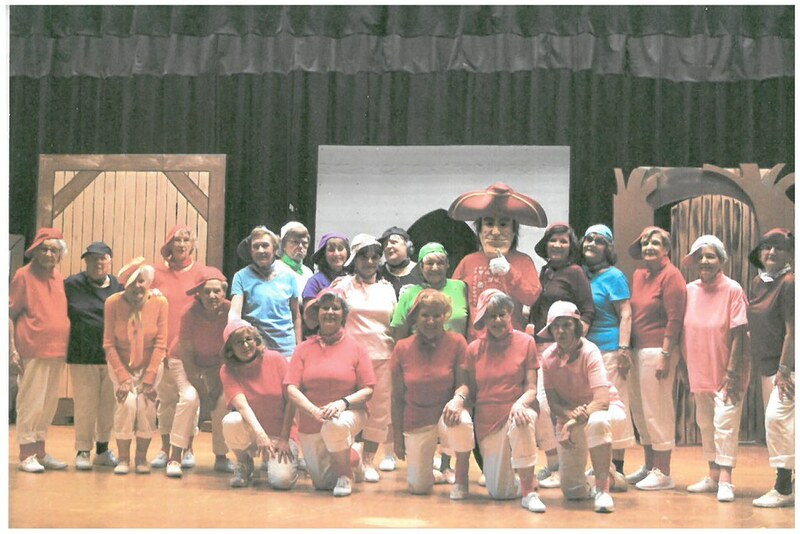 The Hillsborough Township Senior Rockettes/Rocket senior dance group consists of 23 women dancers and one male dancer. All members are residents of Hillsborough Township. The group has celebrated their 25th anniversary .They also were proud to celebrate the 101st birthday of one of their original dancers Mary Buckshaw. The group is very proud of their member who turned 101 years old and who is still an active dancer. They are also proud of all of their accomplishments over the years. They arrive at the Municipal Building every Tuesday morning at 9:00 a.m. to practice their routines weekly. On many occasions when they are preparing for a special performance they have practice two or three times a week. The group works very hard and strives for the best performance they can give the public. The Rockettes/Rocket dance instructor is Gloria Padgett. Gloria has strived for excellence and has been a wonderful asset to the group. Her dedication is remarkable. The Rockettes/Rocket dance group hopes to be able to continue their efforts for the community far into the future. They are also very appreciative of the support given to them from the Hillsborough Township, Affinity and all the residents of Hillsborough that support them.